Behind every success there is effort, behind every effort is passion, behind every passion is someone with the courage to try. The adage remains true for everyone – people, products, services and brands. In the race towards disruptive technologies paving the way for a cleaner and greener tomorrow, each stakeholder is aiming to play a bigger role, deploying various innovative strategies and fostering partnerships to achieve the goal. In the context of mobility, countries worldwide are looking to combat emissions by adopting stringent norms to reduce tailpipe emissions. In India too, stakeholders are aiming to increase green mobility, be it by introducing greener vehicles, encouraging shared and public transport among others. On the other hand, while there have been introduction of new powertrains – hybrid, hydrogen, electric – the adoption of the green vehicles in India remains miniscule, owing to various factors including lack of adequate refill/charging station, higher cost and public awareness among others. For the Mumbai-headquartered Tata Power, part of the salt-to-software conglomerate Tata Group, the introduction of electric vehicles in the country has created a new opportunity to serve a new set of consumers. At present, the company has deployed 20 charging stations across the country that includes 12 charging stations in Mumbai, five charging stations in Delhi, three fast charging stations in partnership with Cognizant in Hyderabad. While the EV industry is at a nascent stage, Tata Power is betting on the power of partnerships and collaboration. 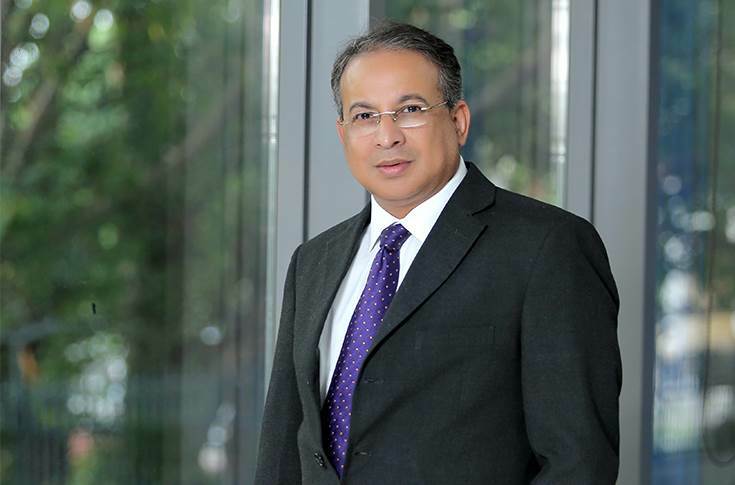 In a reply to Autocar Professional, Praveer Sinha, CEO and MD, Tata Power (pictured above), said: "Setting up an electric vehicle (EV) charging network is still at a nascent stage, not just in India, but the world over. Tata Power has taken the strategic collaboration route to expand the EV charging network in India by tying up with tech companies like Mass-Tech Controls and fuel marketing companies like Hindustan Petroleum Corporation (HPCL). We have also signed an MoU with the government of Maharashtra to support the growth of charging infrastructure and accelerate the adoption of EVs in the state." The company says it will deploy a mix of fast and regular/normal chargers at strategic locations across the country to facilitate private and public use. In fact, Tata Power plans to set up around 100 charging stations in Maharashtra alone in the next few months. Apart from setting up the infrastructure Sinha says, the company is also "working with third parties like battery manufacturers, automobile companies (other than Tata Motors), regulators, and municipal corporations too." It is no rocket science that any product (s) or service (s) success is determined by not just by acceptance but the demand in the market. In the case of EV charging infra, the business is directly related to EV sales. According to Sinha, the greatest challenge is the 'adoption of EVs' itself. "It is a behavioural challenge to help the car owners’ move from vehicles powered by petrol and diesel to electric." "Then we have technological challenges i.e. in terms of battery and its capacity to store energy. This is, in part, also the reason for ‘range anxiety’ or the fear of running out of power between two charging points. Packing more batteries cannot be the solution since the additional weight will also consume power, thus neutralising the use of additional batteries in the vehicle. These are the challenges to overcome, through technology and better communication and marketing for EVs," adds Sinha. On the other hand, he believes that the opportunity is "quite substantial", given the fact that both the per capita vehicle penetration and sales of green vehicles opens a plethora of future demand. Backing his belief on a pickup in EV sales, Sinha says, "What we see clearly is the move towards cleaner fuel for powering vehicles. Given that India is also a signatory to the Paris Accord on climate change, there is good institutional support for greater adoption of EVs. The government of India is also now working on a comprehensive and stable policy for EVs and vehicles run on alternative fuels like CNG and bio-diesel. So, with the growth of EV population in the country, there will be big opportunities for setting up charging stations across the country." Responding to a query on the investment front, Tata Power said that the EV charging points are not "prohibitive even by today’s standards". The company said that the average cost for setting up a normal charger was around Rs 300,000 to Rs 500,000, while a fast charger costs Rs 800,000 to Rs 10 lakh. In September 2018, Tata Power signed an MoU with Hindustan Petroleum Corporation (HPCL), a Navratna Oil and Gas Public Sector Undertaking (PSU) for setting up commercial-scale charging stations for EVs at HPCL retail outlets and other locations across India. As per the MoU, Tata Power and HPCL are to collaborate in planning, development and operation of charging infrastructure for EVs (e-cars, e-rickshaws, e-bikes and e-buses among others), at suitable locations across India. Both the companies also intend to additionally explore areas of opportunities and collaborate in related fields like renewable energy. Explaining the strategic move, Sinha said that at present HPCL has over 15,000 fuel outlets in the country and the partnership gives Tata Power an immense opportunity to roll out charging stations in strategic locations with minimal investment in land. Apart from its focus on increasing its charging infrastructure network, Tata Power is also working towards ensuring 24x7 quality power supply and a Time of Day (ToD) tariff structure – a structure that will encourage consumers to shift a part of their consumption from peak times to off-peak times. It is also working on other innovations like a web-based mobile application that will offer various services like booking a slot at an EV charging station, locating a station, making payments, providing customer support and data analytics. "We are in the process of building the right infrastructure in order to make these EV charging stations affordable," concluded Sinha.